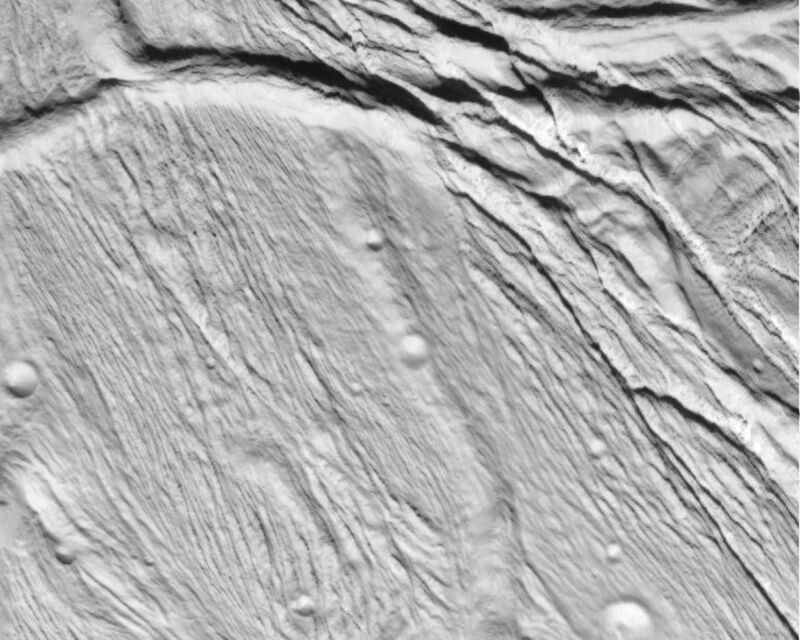 Cassini took this image of the ropy, taffy-like topography on Saturn's moon Enceladus as it soared above the icy moon on Feb. 17, 2005. 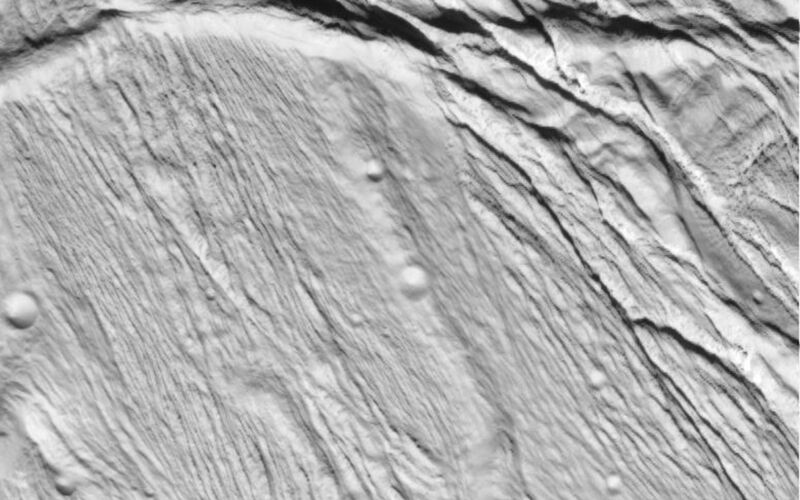 This view, about 60 kilometers across (37 miles), shows several different kinds of ridge-and-trough topography, indicative of a variety of horizontal forces near the surface of this 505-kilometer (314-mile) diameter satellite. 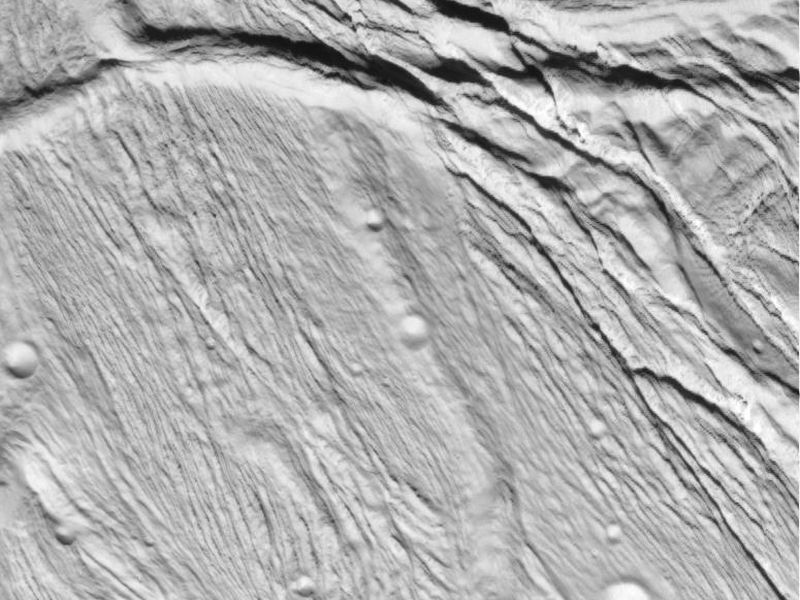 Several different kinds of deformation are visible, and a small population of impact craters shows that this is some of the younger terrain on Enceladus. Sunlight illuminates the scene from the bottom. Interestingly, the topographic relief is only about one kilometer, which is quite low for a small, low gravity satellite. However, this is consistent with other evidence that points to interior melting and resurfacing in Enceladus' history. 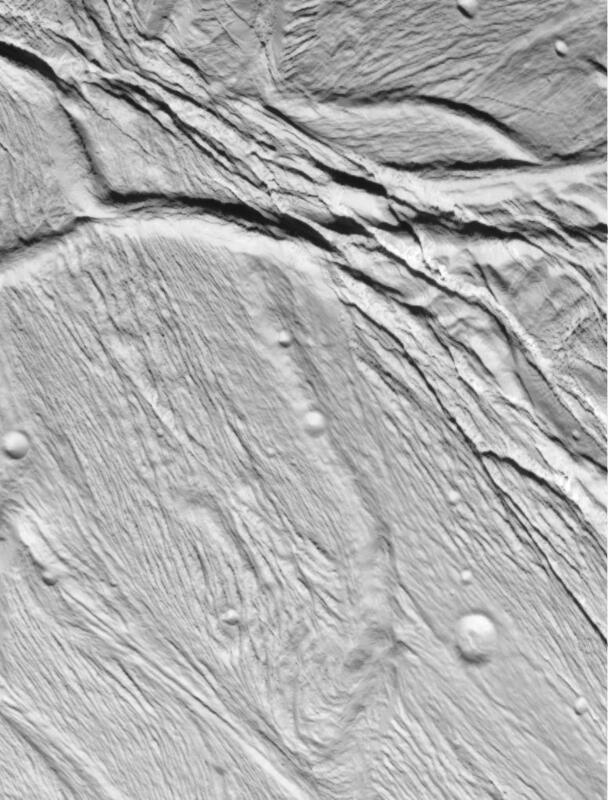 This view was obtained in visible light with the Cassini spacecraft narrow angle camera, at a distance of 10,750 kilometers (6,680 miles) from Enceladus, and at Sun-Enceladus-spacecraft, or phase, angle of 32 degrees. Image scale is 60 meters (197 feet) per pixel. The image has been contrast-enhanced to aid visibility. A stereo or 3-D version of this region on Enceladus is also available (see PIA06189).